Last year I jumped on the Peak Design bandwagon and pre-ordered the Everyday Backpack through their Kickstarter campaign. My old Tamrac backpack that I’d had for years had served me well, but it was showing its age and I was ready for something new. I knew my next bag had to be both functional and attractive. I’d heard great things about Peak Design products and their Everyday Messenger bag, but I prefer to have the weight of my camera gear balanced across both shoulders so when the Everyday Backpack was announced, I quickly jumped on board. Enter the 20L Everyday Backpack. When my Peak Design Everyday Backpack finally arrived (after months of anticipation) I was stoked. It is a beautiful, tailored backpack. I ordered the Charcoal version with red accents and I fell in love. It took a bit of time to configure it in a way that is functional for me, but now that I’ve used it for a few months it has become my go-to camera bag for day trips and longer travel. It is super comfortable, even when full (laptop and all) and best of all, it doesn’t scream “HEY! I’m carrying thousands of dollars worth of camera gear! !” It just looks like a tailored everyday bag that anyone could use. From the moment I took it out of the bag, the attention to detail and quality of workmanship was evident. The design is sleek and tailored yet extremely durable. 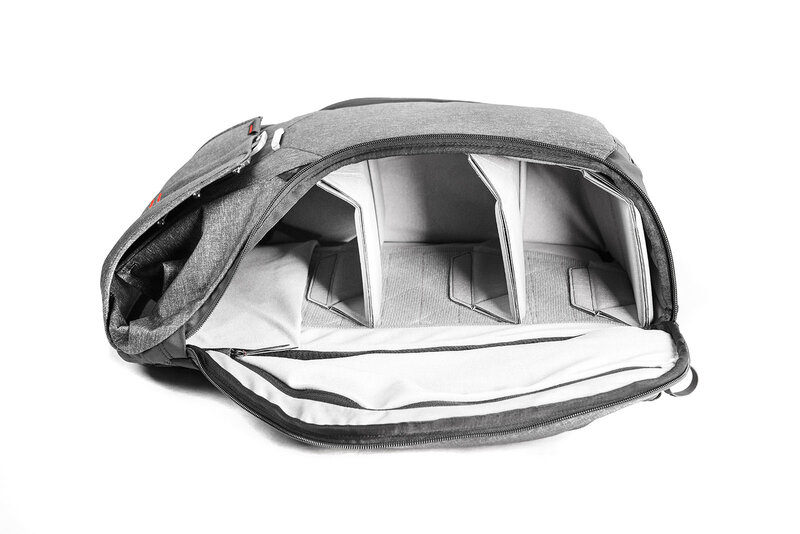 The Everyday Backpack is full of pockets and straps (all of which tuck neatly out of the way when not in use) and can be configured about a hundred (or more?) different ways. Small divided pocket in the laptop compartment, perfect for easy access for keys, smartphone, etc. Contents of the interior zipper pockets must lay fairly flat in order to securely and easily close the bag. Even something as thick as a battery can make it difficult to close depending on the configuration of your gear. I would have loved to have an additional zipper pocket in the top compartment for small accessories that don’t fit in the side flap pockets. Like most photographers, I’m constantly on the hunt for the perfect camera bag and have a closet full of them to prove it. To date – the Everyday Backpack is my favorite camera backpack that I’ve ever owned. 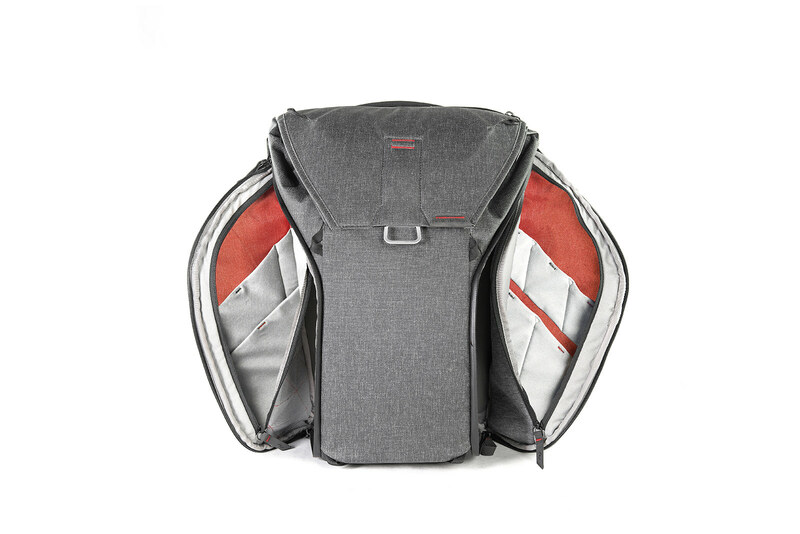 If you are looking for a sleek, modern, tailored camera backpack that holds a ton of gear, but doesn’t scream “hey! 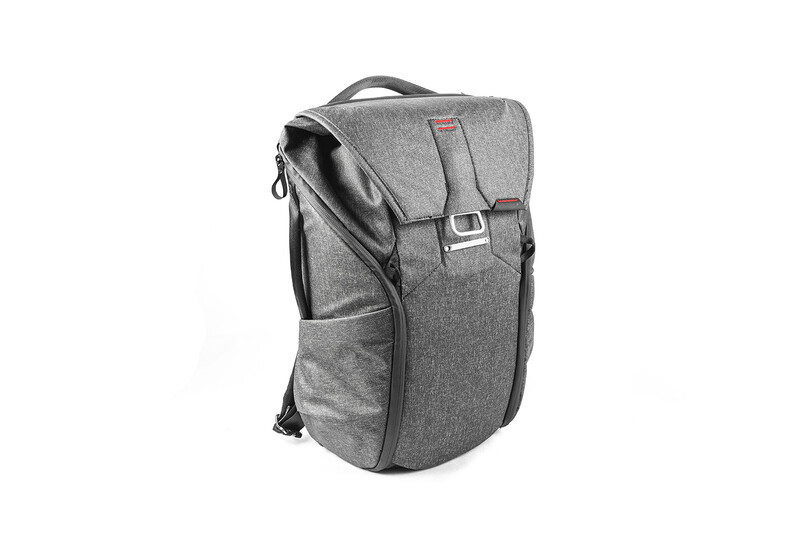 I’m full of expensive cameras!” then the Everyday Backpack is the the one for you. Great review, Angela! Thanks for writing so well. Thanks, Joni! I’m glad it was a good read 🙂 I really do love that backpack!